Buffered Berberine from Cardiovascular Research is a science-based formula of barberry root bark (Berberis vulgaris) extract for cardiovascular support and calcium carbonate as a buffering agent, to maintain the pH balance of the solution. Barberry is a plant that’s been used for centuries in herbal remedies for its potential health benefits. 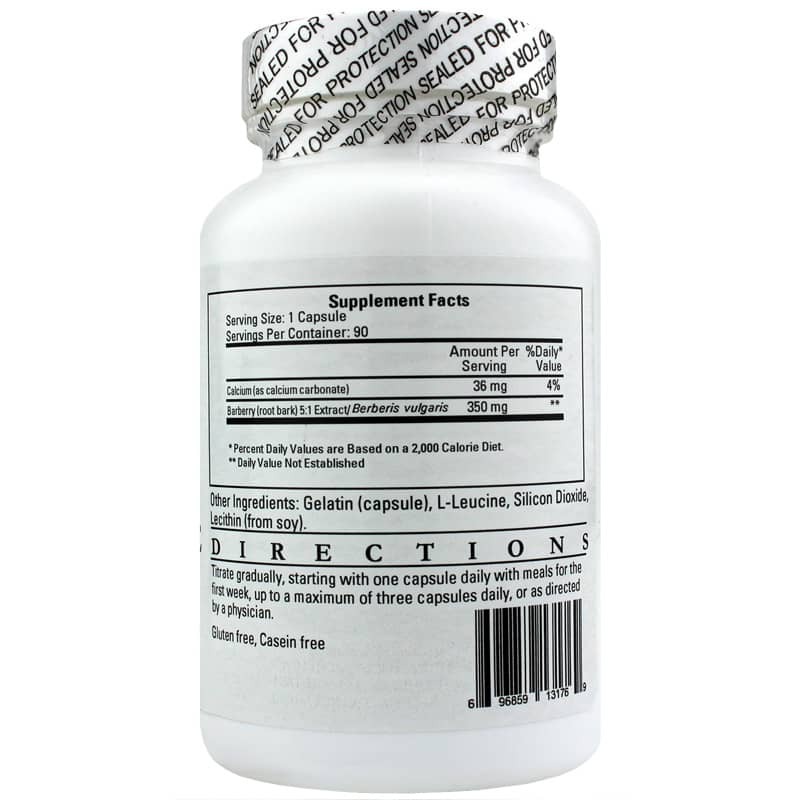 Its extracts, which standardized to contain 8 percent to 12 percent alkaloids (berberine), are primarily believed to support the cardiovascular system. Barberry extracts also support gut health by supporting the function of the bladder, urinary tract and gastrointestinal (GI) system, thereby promoting the health of the immune system. 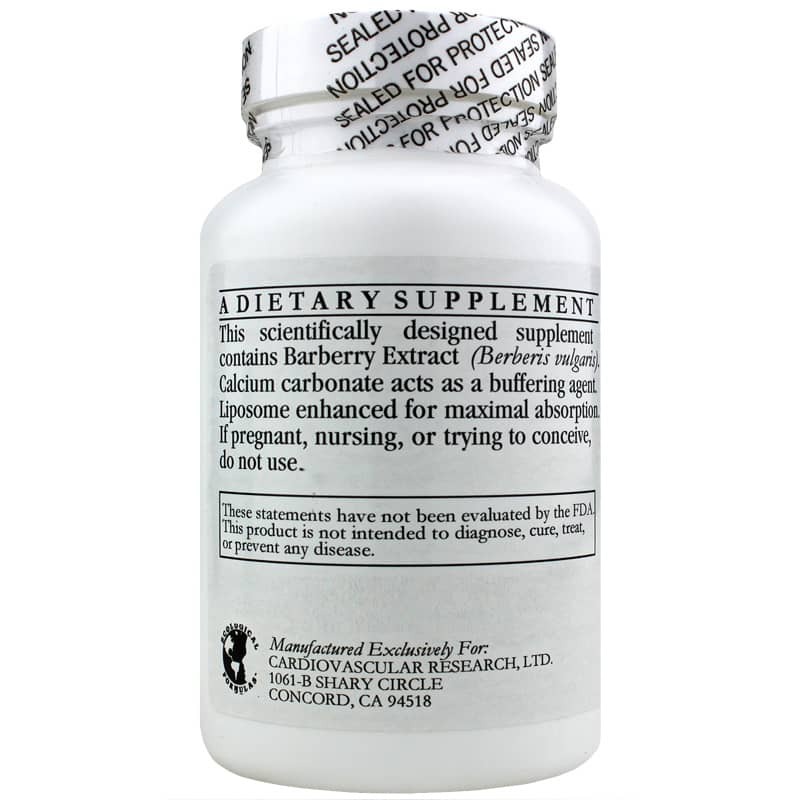 Support cardiovascular function and gut health with this specially formulated dietary supplement of barberry extract and calcium. 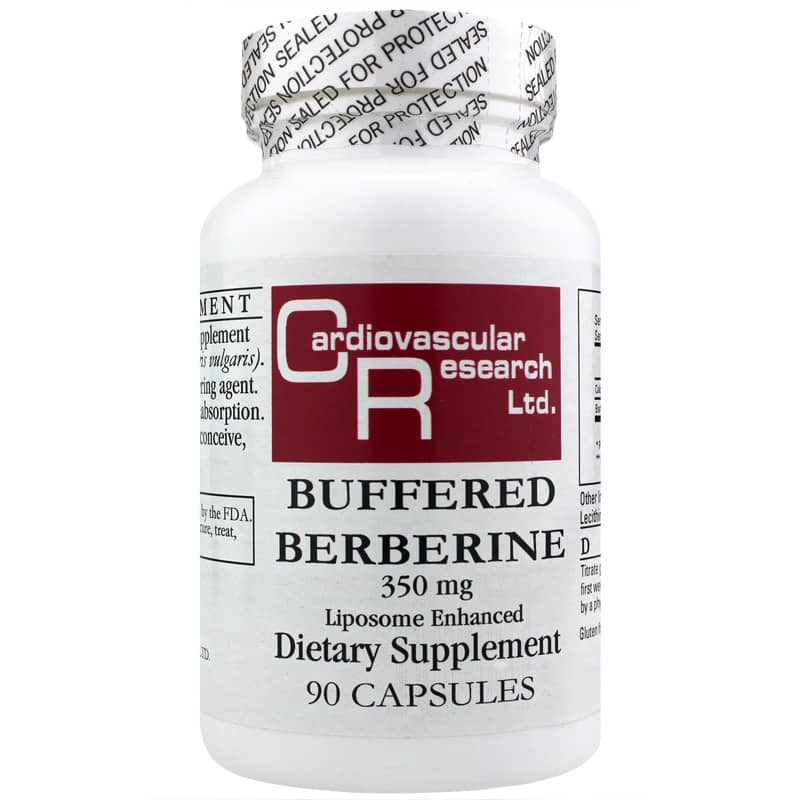 Order Buffered Berberine from Cardiovascular Research online or by phone! Adults: Titrate gradually, starting with 1 capsule daily with meals for the first week, up to a maximum of 3 capsules daily or as directed by a physician. If pregnant, nursing, or trying to conceive, do not use. Keep out of the reach of children.